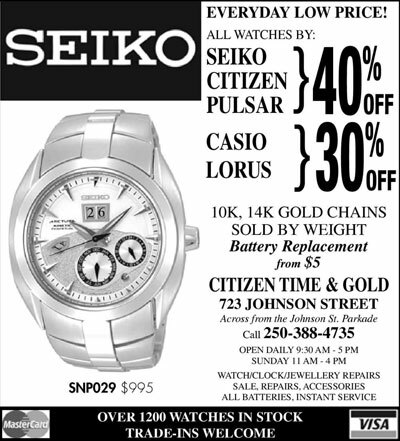 Welcome to Citizen Time & Gold Ltd.
We are a retail store located in downtown Victoria, British Columbia, Canada. Family Owned and Operated. 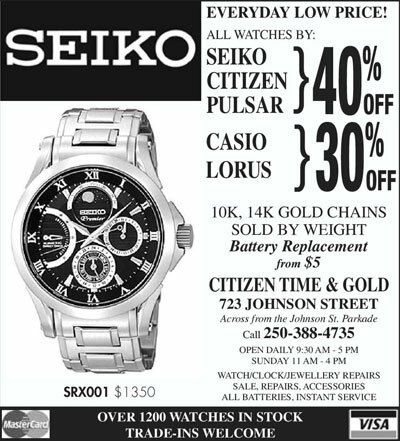 We carry over 1500 watches in stock. Including Seiko, Lassale, Pulsar, Nike, Disney, Casio, and Citizen. 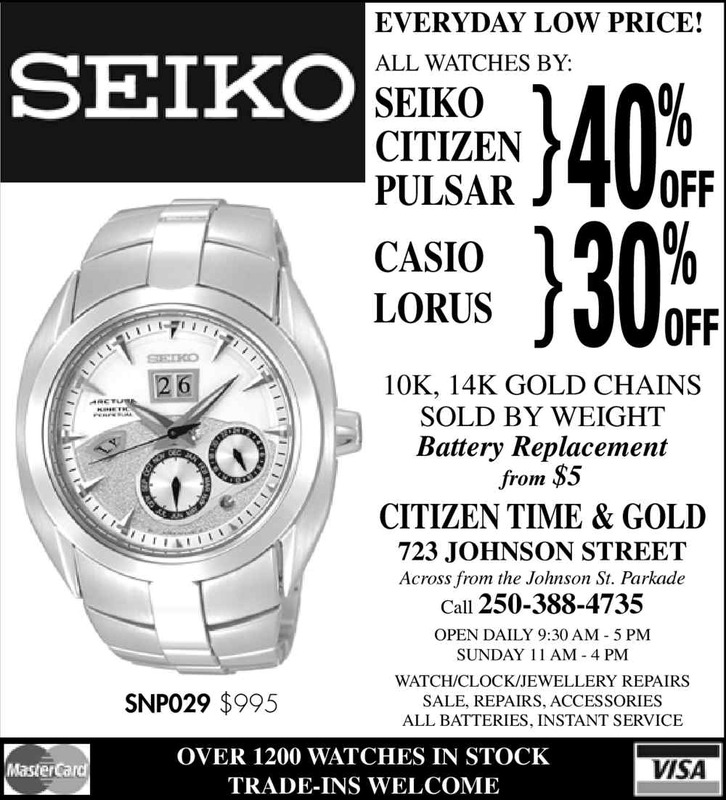 Watch Batteries and Watch and Clock Repairs. Visit our shop or call us at (250) 388 - 4735. The store is across from the Johnson Street Parkade. In between Douglas and Blanshard Street. 1 Hour Free parking coupon available for the parkade. Mondays - Saturdays: 9:30 a.m. - 5 p.m.
Sundays and Holidays: Closed (See Christmas hours below). 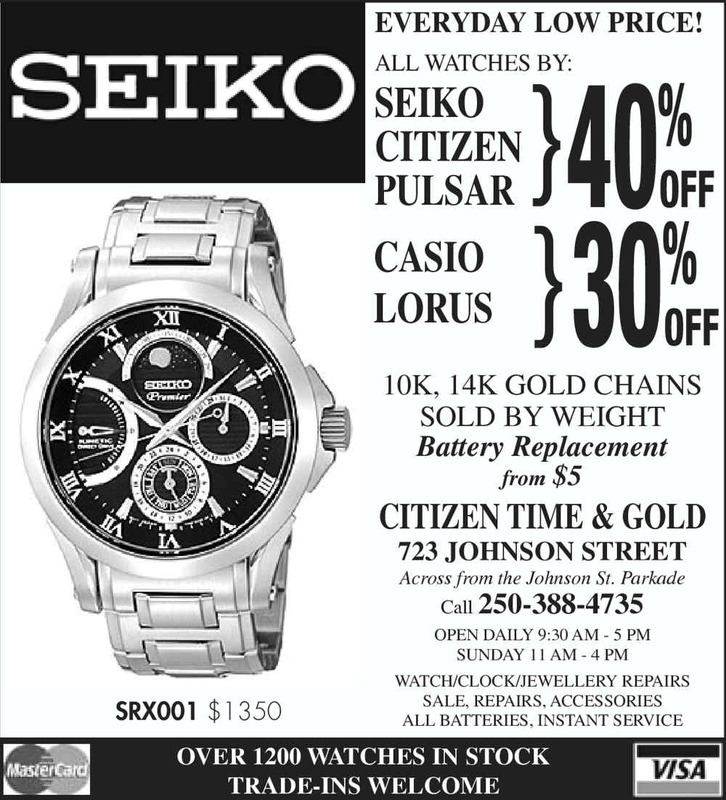 Open Sunday on Dec. 3rd, 10th, 17th and 24nd from 10 a.m. - 4 p.m. or call to see if the watch maker will be in. Boxing Day, December 26th - 11 a.m. - 4 p.m. The web site makes it easy to find the best Hawaii vacation rentals, beaches and attractions from all over the internet. It indexes the most popular online availability calendars, making it easy to search for last minute availability.